As the Straw Hat pirates sail through the Grand Line, Nami is attracted to the upcoming Crown Island that is rumoured to contain a magnificent treasure. Before they can pick a suitable landing spot, a line of exploding geysers hits the crew and Chopper finds himself falling overboard. 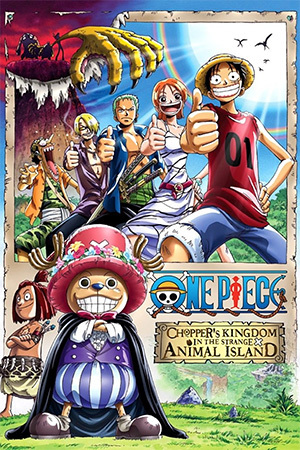 Whilst Luffy and the rest of the gang are thrown to the other side of the island, Chopper is confronted by a small boy and a selection of talking animals who claim he is their new king. Just when you thought things couldn’t get any stranger, it also turns out that the island is home to the evil Count Butler who is wreaking havoc while he hunts down the treasure. Can anyone help to decipher this madness? 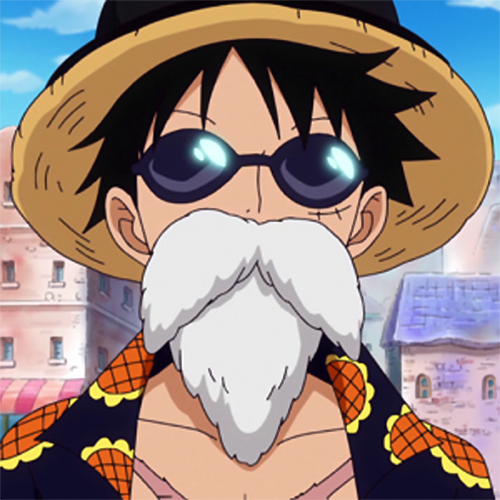 If anyone can, the Straw Hats can! At this point in the ‘One Piece’ timeline (around the 100th episode) the walking/talking reindeer Dr. Tony Tony Chopper had just been recruited as the ship’s physician. 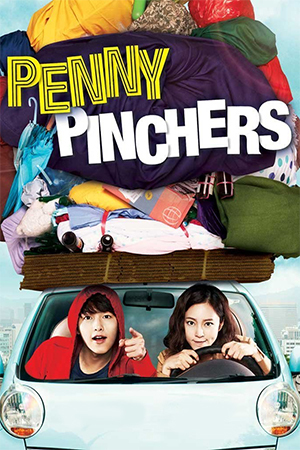 It had been sometime since a permanent addition had been made to the crew so it’s not surprising that he was chosen to be the main focus of this third feature length outing. Adopting a somewhat glossy and extremely colourful animation style, this is yet another enjoyable adventure that appears to have drawn its inspiration from Disney’s ‘The Lion King’. 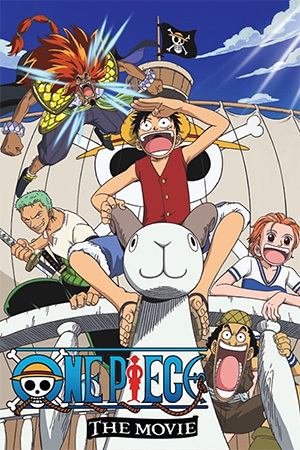 As with the previous two films, it sports a relatively short running time but allows for plenty of laughs along the way, mainly thanks to the trio of Luffy, Usopp and Chopper who never fail to bring a smile to my face. Of course, this wouldn’t be a ‘One Piece’ movie without action and this time around our heroes must duke it out with everything from rampaging animals to mutated supermen. 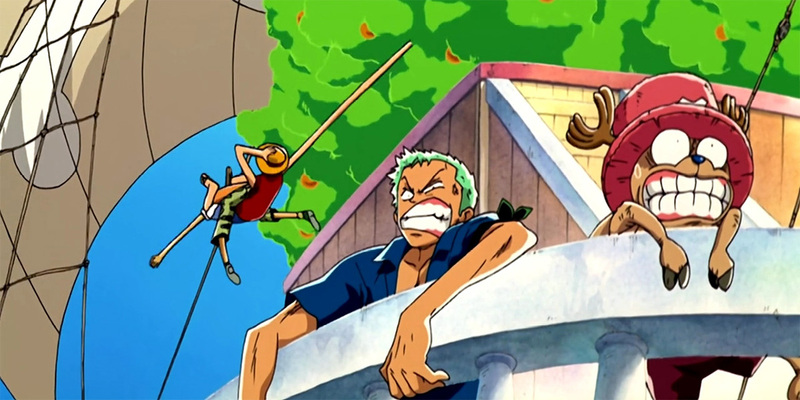 Interestingly enough though, the main bad guys here aren’t just the standard devil’s fruit users and a couple of the henchmen sport regular skills that make them interesting opponents for Zoro and Sanji. Meanwhile, Chopper also gets the chance to flex his hooves of fury and shows off some impressive special moves during the finale before Luffy steps up to the plate to put the icing on the cake. 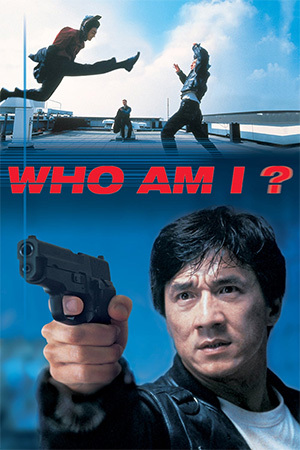 So once again, this film has gone right up my flagpole and I’m saluting the ‘One Piece’ creators for their movie efforts. They aren’t churning out masterpieces but they are staying true to the franchise and I think that’s all any fan could ask for.